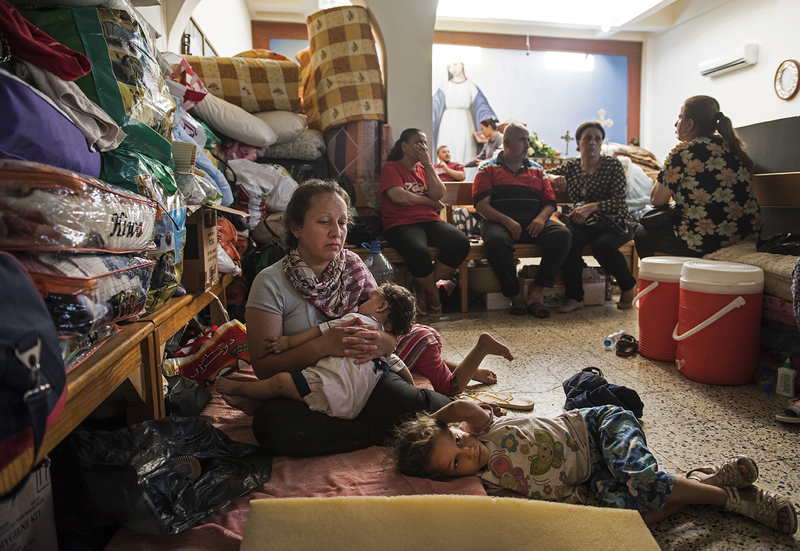 Iraqi Christian families from Karakosh live inside a church and on its grounds in Ankawa, in Erbil, in Northern Iraq, August 23, 2014. Since fighters with the Islamic State started pushing through Iraq and murdering and terrorizing thousands of civilians, hundreds of thousands have been displaced from their homes across the country. While most of the Christian displaced have been relying on the goodwill of the Church and Christian community for food and non-food items, the United Nations recently announced it is beginning its largest humanitarian aid distribution in a decade.